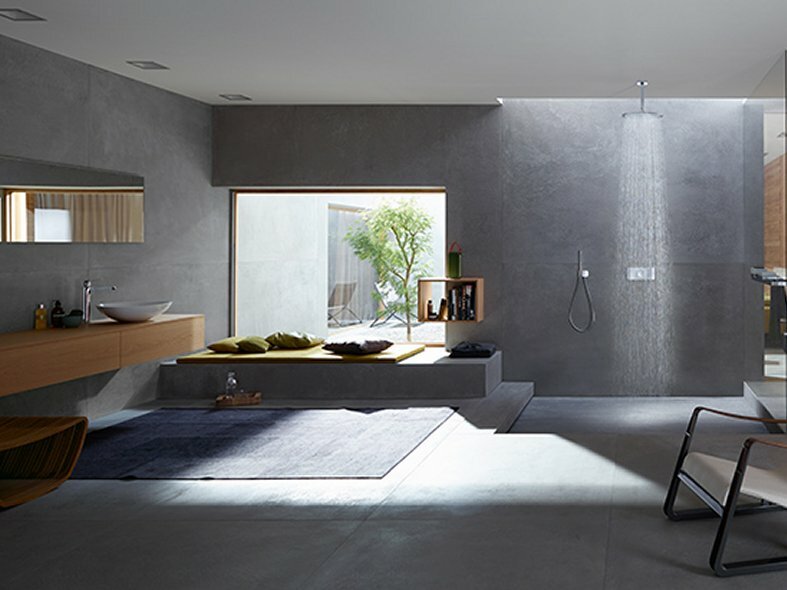 Axor One makes a bold statement and creates a sense of lavish spaciousness in the shower. 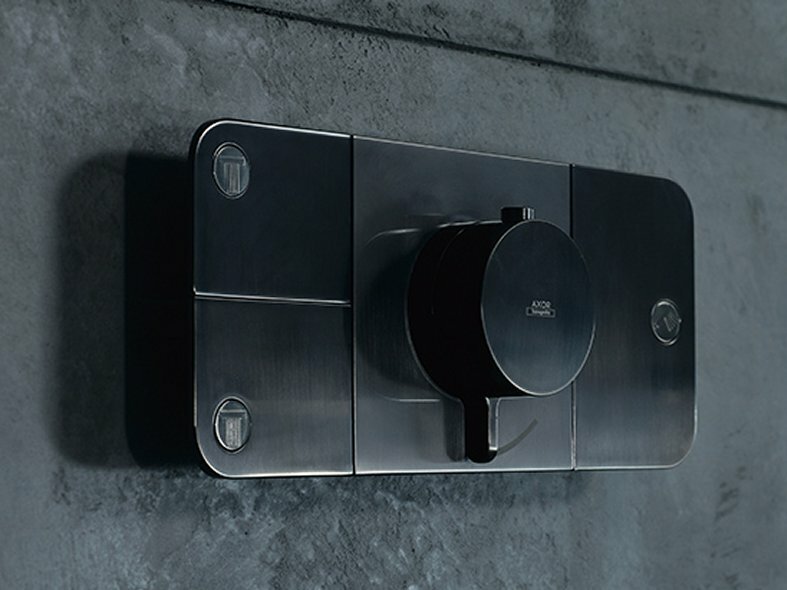 Its well-proportioned surfaces, soft curves and slim silhouette make the thermostat module a designer object. Just like a monolith in the natural world, Axor One has been formed into one single minimalist item and radiates majestic tranquility. All functions are concentrated in one central control unit, from which the showers are controlled. The well-proportioned paddles make the shower easy to operate. Simply use your finger, back of your hand or your elbow to press the relevant paddle ... and the shower that you want will be activated. Operation of the showers is therefore completely intuitive. Underlying this is the Select technology, whose principle is based on pressing rather than turning. For this new shower range, Axor deliberately chose to collaborate with London designers Edward Barber & Jay Osgerby. They focus on the philosophy of interaction design, where the design is primarily determined by what the user sees, hears and feels when interacting with the object. 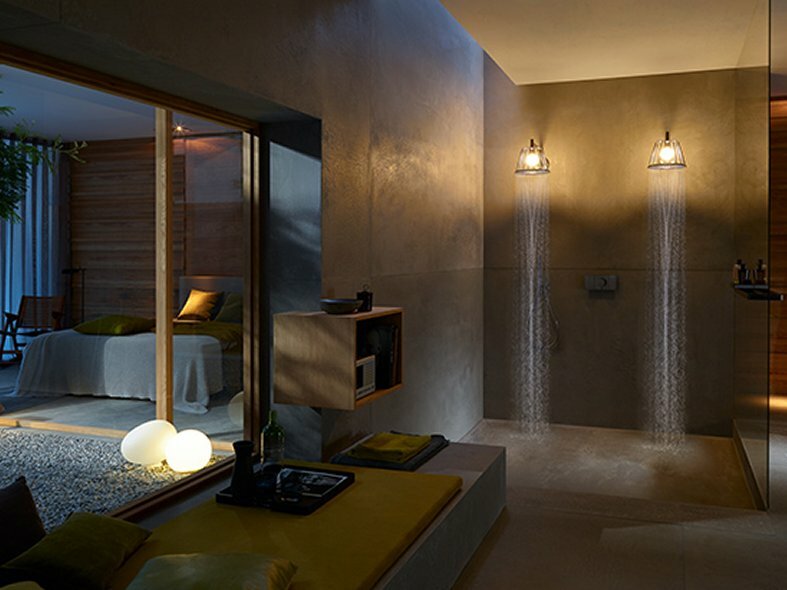 The result was a minimalist masterpiece which offers you plenty of free scope when designing your shower: you can stylishly combine all Axor showers into the Axor One thermostat modules. For an even more personalised concept, you can also get Axor One in one of the 15 special finishes manufactured exclusively at the Axor Manufaktur.